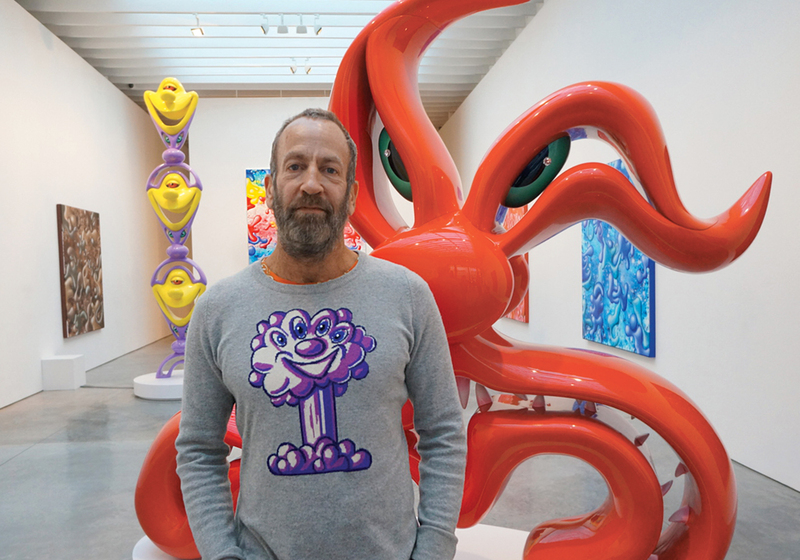 You don’t just stand and observe Kenny Scharf’s artwork. You breathe it, you taste it. Soon you get sucked into it. And when you do, you better hold on tight. Known as a significant player in the East Village street art movement of the 1980s, Scharf is recognized by his vibrantly colorful graffiti style and his “think big” paintings and installations. 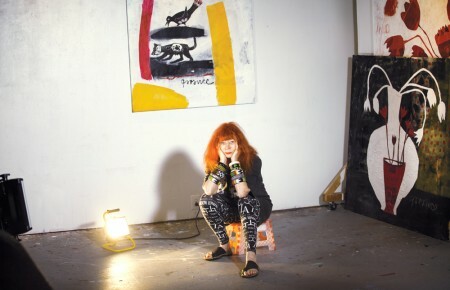 The whimsy of his friend, collaborator and one-time roommate Keith Haring is present in his work, as are the subversive pop sophistication of Warhol and the indictment of sexually tinged consumerism that pervades the work of Marjorie Strider. Scharf’s eponymous exhibit at the Nassau County Museum of Art showcases approximately 50 of his works in various mediums as well as two full-wall installations and ceiling murals taken directly from the artist’s studio and re-installed at the Roslyn Harbor museum. 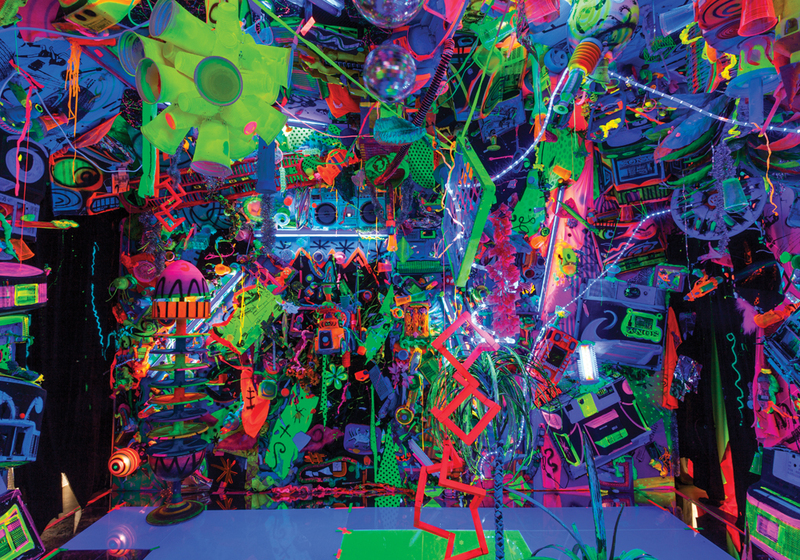 It includes “Cosmic Cavern,” a glowing sculptural installation, as well as a reproduction of the artist’s studio including his furniture and ephemera. There’s much nuance and humor in Scharf’s myriad works, but “Cosmic Cavern” is indeed the ultimate point of departure in his creative trajectory. It’s the magical moment where an artist becomes truly untethered, fusing only to some higher sense of creative trust and openness. Everything we need to know about Scharf—his work, his life, his process, his inner world—seems to make its way into it. He puts it out there, but it’s up to the willing spectator to dive in full bore. A benevolent mind bender of the highest order, “Cosmic Cavern” speaks to the notion that every man is a Magellan in his living room. With a sense of shimmering electricity, abstract ecstasy and day-glow weirdness, Scharf successfully creates the notion of exploring the farthest reaches of the universe while sitting perfectly still in one’s own space. To experience “Cavern” is to walk into a teeming Tokyo subway car while high on acid. When the doors (of perception!) open, we fly face first into a scene of impossibly brilliant color and some abstract form derived strictly from formlessness. Before we can even digest the wild junk that is so densely packed and scattered like buckshot across Scharf’s “mind palace,” the first jolt is one of paralyzing color: where the blues bleed neon, the greens push the limits of lime to the hilt and the reds run snakelike throughout, probing into the hottest pink and screaming for more. Overall, Scharf’s use of color is blindingly beautiful; it gets us wondering if color is even enough for him to depict the intensity of his vision. In pushing Roy G. Biv to the extreme, Scharf begs the question: what lies beyond color? Then there’s Scharf’s “stuff,” crammed into the hallucinogenic space, teeming from every corner—a lifetime of tokens, tools and talismans cherished, used, discarded, cherished and used again. “It’s all garbage,” Scharf mused. 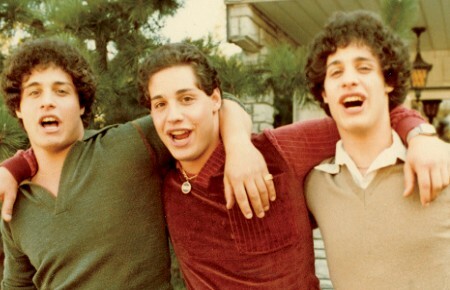 “And most of it’s from Long Island! Brooklyn’s Long Island right?” It may be garbage, yet there’s something really kind-hearted in that recycling process, something elegiac about creating beauty and permanence from discarded disposability. In one sweep of the room, we take in a wild entanglement of wires, tubes, strings and other crazy things, all spider webbing around kids’ toys, plastic cup sculptures, kooky cartoon faces, robots and ultimately Scharf’s pièce de résistance, a psychedelic day-glow organ. That confounded keyboard! Where did it come from? Where is it going? Painted in fluorescent rainbow hues, it’s just tucked in the corner, seemingly unused and maybe unloved. But it vibrates, it shimmers. It looks like it was thrown off the roof of Kesey’s bus and landed directly in the lap of the Beatles as they set out for Pepperland. Pondering it, you can hear the echoes and ghosts: the avant-bop of McCoy Tyner, the free jazz of John Zorn, the soul of Ray Charles, the blues of Pigpen and every glorious, harmonious and discordant chord configuration in between. Under Scharf’s trippy spell, that lonely, hallowed instrument is the sight of sound. Kenny Scharf opens at Nassau County Museum of Art on March 19 and remains on view through July 10. Running concurrently in the museum’s Contemporary Gallery is Hip-Hop Generation, a collection of films and documentaries relating to Scharf and other artists of the 1980s graffiti, hip-hop and urban street culture.